So - I have been meaning to start a post here for a long time - but i guess have been procrastinating just how big the problem is when i start visualizing the entire conversation including historical notes. I started a draft several times and it was a few pages - so I guess i’ve been paralyzed for a bit. Reminds me of grad school - you can kind of visualize the mountain - and as you keep visualizing and analyzing the mountain gets so big you never get started climbing. I am desperately trying to really achieve some of the picking fluidity I see on this forum - and I’m struggling - and it’s frustrating. I just feel like I should be able to play better than I do. I have felt at times like i’m on the cusp of breaking through but i have yet to break through. So today - we’ll start with a small step. Today’s post is what I see in my 2nps. I recently discovered the MAB warm up drills and started doing them (I know I’m late to this party - I’m late to lots) but I’m trying all kinds of drills warmups, etc. I was watching my right hand …and i feel like i can smooth things out going from high to low with upstrokes and a slight UWPS but when I head in the other direction - things get very choppy. My picking seems to start bbouncing all over the place. I’ll stop here for now and ask - what can I do to fix this. I should note that i sometimes wonder if I’m a more natural UWPS but I am working hard to develop the ability to do both. I need DWPS for lots of reasons that I could try to explain but I don’t want to make this post unreadable. Welcome. Just taking a glance at your form, and you start off the video looking a bit tight & inconsistent, but by about 35 seconds in, you are looking more relaxed, and your stroke looks a bit more pronounced, and it sounds more consistent. Maybe a lot of it is nerves, or maybe you really have to ‘loosen up’ at an even slower speed. Just as a side note, one of my biggest mistakes with 2nps runs, was trying to play them with small pick-strokes. I tried to use the same form I used with 4nps runs, and I could never keep it consistent. As a general rule, the fewer pick-strokes per string, the more reliable it is to use larger pick-strokes. Ha! Yeah - I’m a little embarassed by the camera fright i was experiencing - but hopefully getting videos of me playing poorly out on the internet will get me past that soon. I have experimented a little with that - and I do notice that especially when standing - i tend to open up my stroke a little more. It also tends to invlve more of my forearm/elbow. FOr instance it opens up a lot if I start playing ascending/descending groups of 4 - which is something I’d like to be able to do cleanly at at least 120bpm - but ideally i’d like to hit 140ish or so. I kind of need to take a bunch of little videos since I think how I play can vary quite a bit depending on the circumstance. I will post some more - if that will be helpful to the experts here. I have a lot of thoughts on this topic and have given it a lot of thought - and today reached a point where I just got so frustrated with myself i finally decded to post here. Hi! Thanks for posting, and no worries on the “red light” syndrome — it’s universal! Couple things jumps out at me here right away. First, you’re not really using a pickslanting motion as we’ve described it in the past. You’re making what we have been calling a “double-escape” picking motion, where the pick makes a little semicircle in the air. In other words, the pick actually escapes, or goes up in the air, at both ends of the motion. Can you see that when you watch your picking hand and/or the clip? You may need to flip it into slow motion to see this happening. The confusion on this subject is our fault — and I apologize for that. You can’t look at the pick itself and judge the “slant” to figure out what kind of motion you’re making. You have to look at the path it travels. that’s what really differentiates one type of picking motion from another. That being said, there is nothing wrong with the double escape motion per se. It’s the motion players like Albert Lee and Steve Morse use, and your form in this clip is roughly similar to theirs. I’m just mentioning thiz because when you’re trying to learn motions, it can be super confusing to figure out what’s going on if you think you’re doing one thing and you’re really doing another. Second, and more practically, if you want to develop smoothness, you need to go much faster than this. I know that sounds like putting the cart before the horse, but the best say to learn a new physical technique is by trying to go fast first, as a test that you’re doing it right. You can always clean it up later, but only if the motion itself is one that can go fast and smooth — and again, the only way to know that is by trying to do that first. If you can do this motion faster, that’s fine. If not, lots of people sort of switch over to making what looks more like a true pickslanting (i.e. “single-escape”) motion when they get going. That’s fine too as a start. So one thing to do is just go fast and let your hands sort it out. If you try to go faster, even if it’s just with a simple repeating pattern on a single string, what does that look like and about what speed does it end up at? That’s where I recommend you start here. Again, sorry for the confusion on this subject - upcoming updates to the Pickslanting Primer should help clarify a bunch. We’re working on those now! Troy - thanks much for responding and for that clarification although I’m not sure what to do with that insight. Hopefully that will reveal itself in time here. Should I post a video of me going As fast as I can no matter how it comes out? I’m just making sure I understood you correctly. Sorry! I’m really working on my clarity, I promise. Basically what I’m saying is if you want to be playing faster and smoother than this, then you have to get that motion happening right now, and the best way to do it is to go for it. You can film it or not film it, and post it or not post it, but you should give that the old college try until you have some kind of picking motion that feels smooth and fast. Just sit down and let it rip. It doesn’t have to be anything more than a single fretted note. If you have enough synchronization to play a simple repeating pattern like the Yngwie six-note pattern, that’s fine too. You’re going to have to get to that step next anyway. But if not, then just fret a single note for now. I assume you’ve already tried this at one point or another. When you do that, is it faster than this clip? Is the motion the same as in this clip or a different motion? Who knows - maybe I just don’t have the speed in my wrist. When you get a moment, give the table tap test a shot and see what number you come up with. If it’s way higher than your picking speed, then good news — you don’t lack speed, you’re just not doing it right. just to add my 2cents. That 2nps pattern across all 6 strings is like an 8 out of 10 for difficulty. IMO its simply not efficient to spend a lot of time struggling with that. Each set of 2 strings is almost like a totally different challenge. For example the hand positions etc on the E and A are totally different than on the B and E…and you are frustrated because you cant master it all at once? Personally id break it down into a 2 or maybe 3 string thing. if u cant get some smooth speed going on 2 or 3 strings how are you going to get it on 6? on either of those you are getting 3 notes worth of time to switch the pickslant. 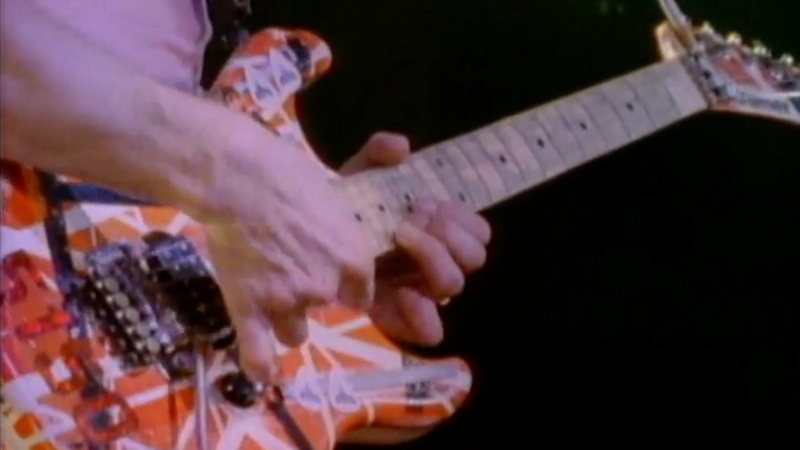 Then the tried and true Yngwie (or Joe Stump) 6 note pattern. its a classic and has REALLY helped me get a smooth and fast motion after years of just being so so. id say after u have a handle on that stuff. THEN worry about speeding thru the 2nps stuff across all strings. I’’m glad I went and read that twice. Probably shouldn’t admit this but I was sitting here in stop and go traffic and gave it a try. Most I could do at that angle was about sixteenths at about 130ish. Got back to my room and got it a little higher but not much and no way could I tap at 140 bpm for any meaningful length of time - although I wonder if this translates to a beneficial exercise that can be done without the guitar. Then i put it up to the 240 you mentioned and was trying to visualize your hand tapping at that speed. Seemed superhuman . Fortunately for me - I went back to see the exact number you had posted and then saw the comment you made correlating down/up to the pick stroke. I feel better now. Not superhuman but I’m can do better than what I posted. I tried to post something I though I could play confidently although clearly the first observer saw that maybe not so much. I have some real sticking points in my picking. Especially at the start. Videos coming soon. I’m excited because just taking about it feels like progress. Just to be totally clear here, we’re talking about tapping only twice per click. When you set your metrome to whatever, you tap once on the click and then once before the next click arrives. That’s it. What’s the highest metronome number where you can tap twice per click? If you try this when you’re not driving (!) let me know what it is. JJ - Thanks much for investing the time to type all that. I really do appreciate it. I’m going to look at all the little examples you posted - and maybe those will provide a good basis for little video clips. I had the PG one in mind already - but will experiment with the others first and then some combination thereof might provide a good feel for what my picking looks like. I also really feel i struggle at the start - of any sequence. I almost need a warm up swing b;efore i can go… I might demonstrate what I mean. I will be back with videos - just might wait till i can be at home. We’ll see what time allows for on this trip. Yes. Ok - sorry - if we’re talking 8th notes then I just now took it up to 220 with no issues. I can go in bursts faster - but can’t hold it. That’s more like it. And this is similar to what I can do. I can just about tap two bars of eighths at 240, and I can tap 220 for longer without lagging behind. The reason this is relevant is because tapping eighth notes at 220 is like alternate picking sixteenth notes at 220. On a guitar, with a pick, the “up-taps” would be upstrokes and would also play notes in addition to the “down-taps”. So you’d be playing four notes per click. Translating this to playing with a pick, I can alternate pick 110 pretty confidently any day of the week. 220 in bursts as you say but can’t hold it. In other words, I can tap a little faster than I can pick, and if that’s the same for you, then you probably don’t have any “speed” issues, and you probably already have the hand speed you need. You just have to figure out how to do the motions. Don’t sit there drilling things super slowly at 104bpm. You’re not going to figure out what it feels like to move fast and fluidly that way. Instead, again, go for it and see if you can figure out what it’s like to move a pick the way you tap on a table. You’ll know when you get it because it will be way faster than the clip you posted here and it won’t feel like you’re doing much. Roger. I think my next video series will be helpful. When you see how clunky it is when I try to get to 120 or so… and I will say I have this middle ground where I feel especially clunky - and then can get my picking hand going but i’m so out of sync with the left hand - it’s just ugly. I have a good idea for what my next series of clips will entail - we’ll press pause here - but I will be back soon. Thanks again. As I said - I feel hopeful already just having finally stuck a toe into the waters here. Don’t worry about posting a follow-up just yet. I’d like you to give it a few tries to find something that’s fast and smooth first. We do have some instructions in the Pickslanting Primer about how to do different picking motions, and that may help a bit in terms of narrowing down the different things you need to try to have a breakthrough. But if you’re just winging it, that’s fine too. There is always a bit of trial and error to this first step, even with instruction. Not sure what that means, but just in case I’m put my foot in my mouth here, apologies! What I mean is that the most important next step you can do here is to undertake said experimentation and see if you can get something happening that’s smoother. I’m not likely to know what about your current technique isn’t working by visual examination, and regardless my best advice isn’t to try and “fix” the current motion anyway — it’s to guide you to a new one that works. And no matter whether you were sitting in front of me or sitting across the internet, I think the best course of action is the same: go for it, see what comes out, and change / repeat as necessary until you find something promising. It’s the way I acquired every technique I currently have. More generally, this isn’t just about “watch the videos, hope you like them”. If you don’t make actual progress I don’t consider our mission fulfilled. Ha - No. Of course not. I had started drafting a reply here and ended up cutting and pasting it into an email that i sent. I guess i left the emoticon that represented my frame of mind at that moment. Explained better in the email. So - I’d like to restart this conversation. After reading don’t post any more videos - it was a little discouraging but after chatting with everyone’s favorite Italian guitar player - Tommo - he thought i might have put the wrong foot forward with that first video. I sent a follow up question directly to the site - but I imagine it’s pretty busy there. I had learned Tommo’s little blues etude a few months ago - and he thought I should repost that - but i wanted to record it again - but realized i had forgotten it to a large degree - so here’s just a snippet so you don’t have to see me hunting for the next measure. I’m hoping this gives a better feel for what my picking motion is - under these particular circumstances. My picking motion changes sometimes. And I’d like to record some other short snippets that provides kind of an overview of different picking situations and how my right hand responds. I’ve also recently come to believe that my left hand isn’t as strong as it should be - so I’m working on that as well. One last comment. My reasoning for focusing on 2nps - in that first video - isn’t just so i can shred across 2nps scales so miuch - although that would be nice - it’s because i started focusing on that aspect when i realized how bad i was at it. One thing i’ve always wanted to play fast and smoothly is ascending 4s in a 3nps scale pattern - and i never really can. The second set of 4s is a 2 nps pattern and that can be found throughout that asending pattern. So i theorized that if i could speed that up and smooth it out - it would be very helpful to that end goal. If this is received well - then I’d like to add a few more short snippets as well.